On Jan. 10 a new study series begins called Movies, Theology and Real Life led by Pastor Mitch. Our first study is based on the NY Times best-selling novel and movie “The Shack.” It’s the story of Mackenzie (Mack), who struggles to deal with his life in the wake of his youngest daughter Missy’s death. Anger and resentment squelch everything in him until he is drawn back to the spot of Missy’s death. There he has a surprising and mystical experience of coming to terms with his father’s treatment, his father’s death and his current life in the wake of his daughter’s death. Mack and God have a discussion about where God is in all these experiences of Mack’s life. And Mack has a decision to make about whether he will return to his family to stay with God. We will watch this movie in four, half-hour segments and talk about each one as we go along. Join us for this first, four week session of “Movies, Theology and Real Life” as we watch and talk about “The Shack.” This study will run from Jan 10 – 31, 2018. Our first class is October 4th beginning at 7 pm in the Roman’s Room at Good Sam. 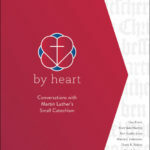 You can come to see if you are interested in this exploration of Luther’s life and times or buy the book and read along with us. Lead by Pastor Harry Carlsen. 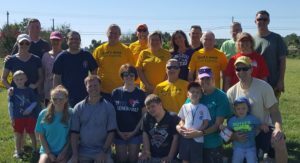 Pastor Carlsen is a retired ELCA Pastor who has served a whole career in service to the church. Recently he has served as an interim pastor for an Episcopal Church in Georgia. Pastor Carlsen and his wife Dorothy now reside in California MD to be near Jeff (Son) and Kami Carlsen and grandchildren. 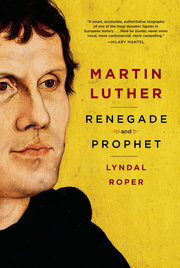 A little about MARTIN LUTHER Renegade and Prophet It is inevitable that the anniversary of the Reformation would bring forth a flood of new publications. “Martin Luther: Renegade and Prophet” is undoubtedly one of the best and most substantial. Deeply researched over a period of more than 10 years, this biography offers a fresh and deeply illuminating study of the man who somewhat reluctantly divided a continent. What emerges is a work of impeccable scholarship and painstaking fair mindedness. In particular Roper has mined the correspondence, which illuminates every page of this book, as Luther coped with the strains of first becoming a public figure, searched for allies and unburdened himself to trusted friends. In letters that were both deeply learned and alarmingly frank, his charisma shines through, but we also see his complexity: He was a man who could, by turns, be abusive and utterly unforgiving, but also gentle, affectionate and funny. 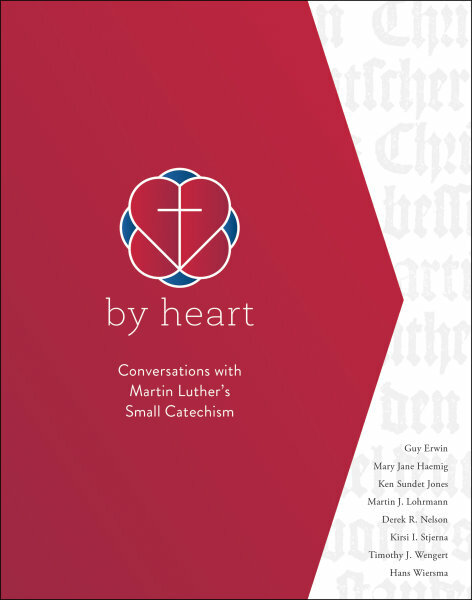 This is an eight week class exploring Luther’s Small Catechism and how Its approach to faith and scripture bring learning to love and trust God into the home, into the heart and in the daily lives of those who seek to follow Jesus. Although this is a good review of the Catechism it is also a deeper look at how it works, how to use it and how it was a ground breaking approach to faith in real life that is still vital and relevant in today’s busy world. Class will have a short video component, a little reading and lots of discussion, sharing, thinking out loud and imaging God’s activity in and through our lives. This class is lead by Pastor Mitch and begins October 4th, 7 pm in Pastor’s office and will run for 8 weeks. Books are $15 and a Small Catechism will be provided. 10 Actions That Will Change Your Life and Bless Your Neighbor. 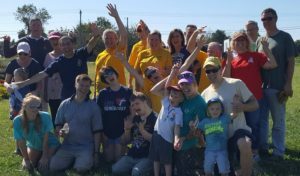 Join us Fall Focus 2017 at Good Sam, beginning this Sunday. Learning to practice our faith, that is turn it into action, is a persistent question for those who walk the journey of faith. If faith is to be real, it also needs to be relevant to our journey in seeking God’s gifts as well as make a real difference in the world near us. Somewhere in our “church lives” we have spent a good deal of time thinking about our relationship with God and somehow minimized the opportunity to work at shaping our relationships with our neighbors. It is my strong belief that what we do with our neighbors has a huge impact on our own faith development and our sense of God active in our own lives. It is not just for our neighbor that God invites us to work at our relationships with our neighbors. It is also enlightened self-interest. It matters in our own faith development how we engage and relate to others. So, we propose ten things you can do that will shape your faith journey and bless your neighbor. These actions will be an important part of everything we do that is God’s work with our hands (hearts). These actions, invested well, will become a fountain of strength and encouragement to nurture and sustain faith in us and in others who know us. 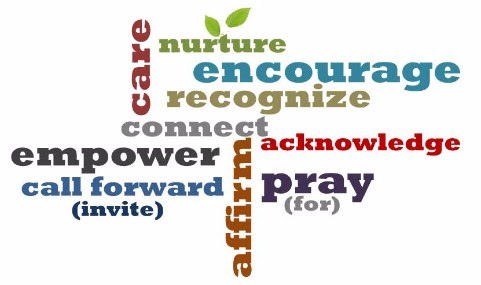 Here are the ten actions we invite you to prayerfully live as you meet and engage your neighbors with the faith that is in you.